As we’ve looked over the earlier chapters of Breen’s book, we have seen that he emphasizes disciplemaking. But what is a disciple? In recent years, the word ‘disciple’ seems to be the center of many discussions. Is the church currently misguided in its approach to disciplemaking? How should we make disciples? Must a person even be a disciple to be a Christian? It is well-known that Dallas Willard defines a disciple as an appentice. And one of my former preachers said that a disciple was a “follower-learner.” Breen says that he is fascinated by the word ‘disciple’ because of this aspect of learning. He says:”Scripture really seems to be getting at something here, something about orienting our lives around becoming lifelong learners of Jesus” (Kindle Locations 251-252). And if one understands learning to be at the core of being discipled, then one will begin thinking through how we learn. One’s reflection on learning will affect one’s practice of disciplemaking. Though Breen’s discussion of this felt a little simplistic at times, the simplicity gives him a clear vantagepoint to apply these reflections to disciplemaking. “There seem to be three different ways that we learn, but unequivocally, we learn best when there is a dynamic interplay between all three at one time: 1) Classroom/Lecture passing on of information 2) Apprenticeship 3) Immersion.” (Kindle Locations 256-259). Passing on information is fine, but it is difficult to translate that information into practice. Take, for example, the often used example of learning to ride a bicycle: you could read a book on it and still not be able to ride a bike. For this reason, Breen thinks learning information needs to be coupled with apprenticeship. “In many ways, the practice of apprenticeship is about investment. Someone invests their time, energy, skills and life into ours, teaching us to do what they do.” (Kindle Locations 287-288). We also learn through immersion, where we are immersed in a context where something is used or some skill is practiced. We learn from merely being in that environment. “The key to immersion is having access to the culture you are hoping to shape you.” (Kindle Location 306). The research has shown us, according to Breen, that people learn best when there is an interplay of the three types of learning. I find this to be true, at least from my own experience it has been true. Breen sees this as a major insight into the the problems churches have with their current approah to disciplemaking. The way we train churchgoers to follow Jesus is primarily through lectures. There is little apprenticeship, and we have not created a culture where people can be formed into disciples by being immersed in that culture. Of course, as most people who have been involved in a local church knows, most of the options at a church fall firmly within the “information” category. There is no little opportunity for apprenticeship and immersion. 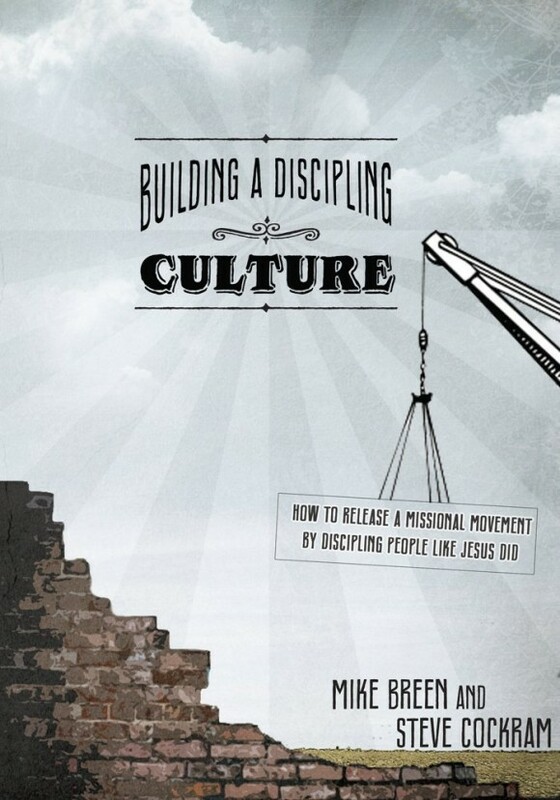 Breen says: “Yet almost all churches have built a whole discipleship process on that first style: classroom teaching. Hear the sermon. Join the small group. Go to the membership class. Read your Bible (hopefully you figure out how to do it). Go to class 201 or 301, and ‘yes, we have classes for that.’” (Kindle Locations 380-386). Breen thinks is one of the main reasons for the lack of vibrancy in our churches we see in Jesus and his immediate followers. The disciples of Jesus would have received the three types of teaching from Jesus. They followed him around and learned a great deal from watching and imitating him. But few Christians are ever discipled by anyone, and so most Christians never have the opportunity to learn from apprenticeship and immersion. Learning through a lecture or in a classroom setting, no matter the talent and intelligence of the teacher, is always shallow and flat compared to a learning experience that includes such teaching alongside apprenticing and immersion. If churches and ministries did a better job of providing learning experiences that included lectures, apprenticeships, and immersion, they would have better success in forming disciples of Jesus. I really like Breen’s books. As I’ve said, I find him insightful. But sometimes his biblical interpretation is unusual. I’m not sure if I just haven’t been exposed to a major viewpoint that he is presenting, or if his interpretation is idiosyncratic.. This chapter’s discussion of Matthew 11:25-30 provides an example of that. Breen comments on Matthew 11:25-30. He thinks that when Jesus said in Matthew 11, “Come to me….take my yoke…”, he was appealing to the imagery of yoking an older ox with a younger ox so that the younger ox could learn the rythym of the workday. When the younger ox aged, he would be paired with a younger ox to teach the rhythm of the work day. So Breen thinks that Jesus is applying this imagery to the discipling/apprenticing relationship. (Kindle Locations 456-458). As I said, I have never heard this understanding of this passage. Maybe Breen is right. Maybe he isn’t. But, fortunately, his argument in this chapter does not depend on his interpretation of Matthew 11. It serves more as an illustration than a support. “Jesus had what many scholars call his “Retreat Ministry,” a period of time that was dedicated completely to the disciples, when he retreated to places the crowds would never follow, when the disciples could be immersed in relationship and have complete access to him. Here’s the interesting thing: Most people think that at least eighteen months of Jesus’ public ministry was this time. That means at least half of his time was spent with these twelve guys.” (Kindle Locations 460-464). I know that Jesus spent a lot of time with his disciples. I also know that we don’t know the details of how Jesus spent the majority of his time between his baptism and his death. So I’m not sure how these scholars know that much of that time was “dedicated completely to the disciples.” But, again, Breen is using this as an illustration, not as a crucial point. Furthermore, even a cursory reading of the gospels shows that Jesus did spend time focused on his inner circle of disciples. He answered their questions and provided access to his life that others did not have. And this time seems to be intentional; it might have been unstructured and organic, but it wasn’t aimless or haphazard. If Jesus had intentional time with an inner group of followers, why is it so rare for ministers to do so? I suppose we just aren’t convinced that focusing so much on a small group of disciples can have a noticeable impact on our ministries and the Kingdom of God. The urgent and immediate issues of ministry also edge out any time we would otherwise have for focusing on a few disciples. But Breen is right. For the health of the church, the quality of our disicplemaking, and the advancing of our mission, this needs to become the norm for ministers and not the exception.